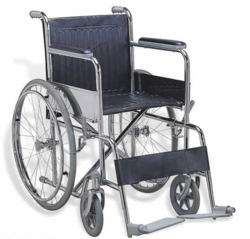 We are a leading Exporter of deluxe wheelchair, relaxed wheelchair, p105 ultralight wheelchair, power wheelchair with battery, p103 motorised wheelchair and light weight wheelchair from Ahmedabad, India. Weight Capacity 351 to 450 Lbs., 451 to 650 Lbs., 650 Lbs.+, 251 to 350 Lbs. 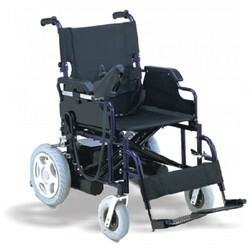 We are supplying for Deluxe Wheelchair in a wide range for our clients. Weight Capacity 351 to 450 Lbs.,451 to 650 Lbs.,251 to 350 Lbs.,650 Lbs.+,Upto 250 Lbs. 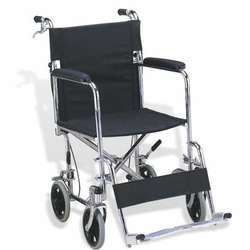 We are supplying Relaxed Wheelchair in a wide range for our clients. Scure P105 UltraLight Wheelchair with Lithium Battery is a new ultralight wheelchair made of aluminium alloy frame having net weight 26.5kg has lithium battery to provide ease in its usage. 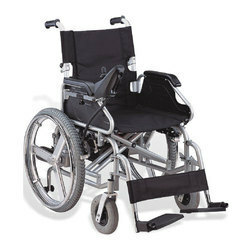 Scure P 106 Power Wheelchair with Battery is made of an aluminium frame with chargeable battery comes with an additional cushion and has dropped back handle system, has detachable armrest and footrest. 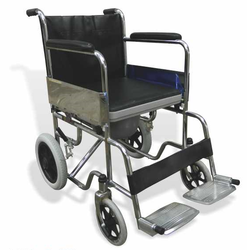 We are supplying Light Weight Wheelchair in a wide range of our clients. Weight Capacity 251 to 350 Lbs., 451 to 650 Lbs., 650 Lbs.+, 351 to 450 Lbs. Seat Width Extra-Wide : 24" to 34", Standard : 17" to 19", Narrow : 15,Standard : 17,Wide : 19,Extra-Wide : 24, Youth : 10 to 15, Narrow : 15" to 17", Wide : 19" to 24"
We are supplying for Active Wheelchair in a wide range of our clients. Seat Width Narrow : 15" to 17", Standard : 17" to 19", Wide : 19" to 24", Extra-Wide : 24" to 34"
We are supplying Manual Run Wheelchair in a wide range for our clients. Weight Capacity 251 to 350 Lbs., 451 to 650 Lbs., 351 to 450 Lbs. Weight Capacity 351 to 450 Lbs., 650 Lbs.+, 451 to 650 Lbs., 251 to 350 Lbs. 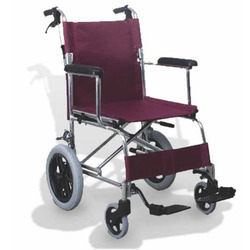 We are supplying Comfortable Wheelchair a wide range for our clients. 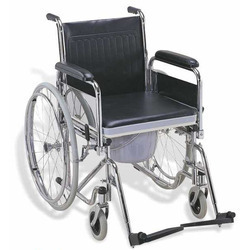 We are supplying Casual Wheelchair in a wide range for our clients. Weight Capacity 251 to 350 Lbs., 650 Lbs.+, 451 to 650 Lbs., 351 to 450 Lbs. 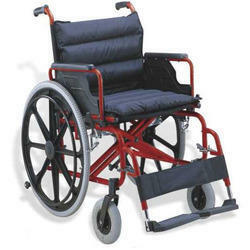 We are supplying Flexible Wheelchair in a wide range for our clients. Weight Capacity Upto 250 Lbs., 351 to 450 Lbs., 251 to 350 Lbs. 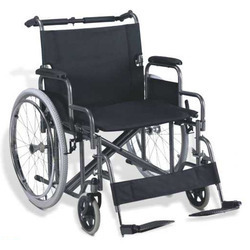 We are supplying Black Manual Wheelchair in a wide range for our clients. Weight Capacity 351 to 450 Lbs., 650 Lbs.+, 251 to 350 Lbs., 451 to 650 Lbs. 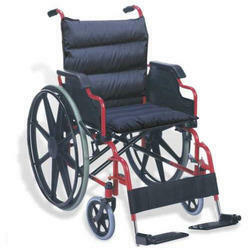 We are supplying Comfortable Back Wheelchair in a wide range for our clients. 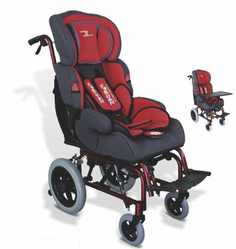 We are supplying for Pediatric Wheelchair in a wide range for our clients. Weight Capacity 251 to 350 Lbs., 351 to 450 Lbs. 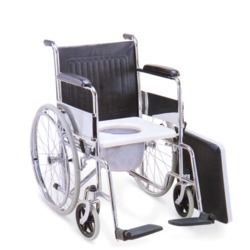 We are the leading and Manufacturer, Exporter, Trader, Wholesaler and Supplier of Commode Wheelchair. Dual Brakes / Parking Brakes. Weight Capacity 351 to 450 Lbs., 650 Lbs.+, 251 to 350 Lbs. 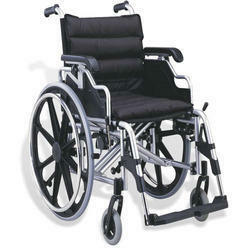 We are supplying Standard Wheelchair in a wide range for our clients. 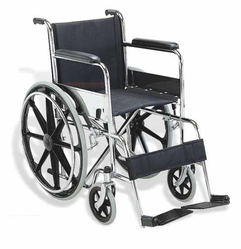 We are supplying Manual Wheelchair in a wide range of our clients.